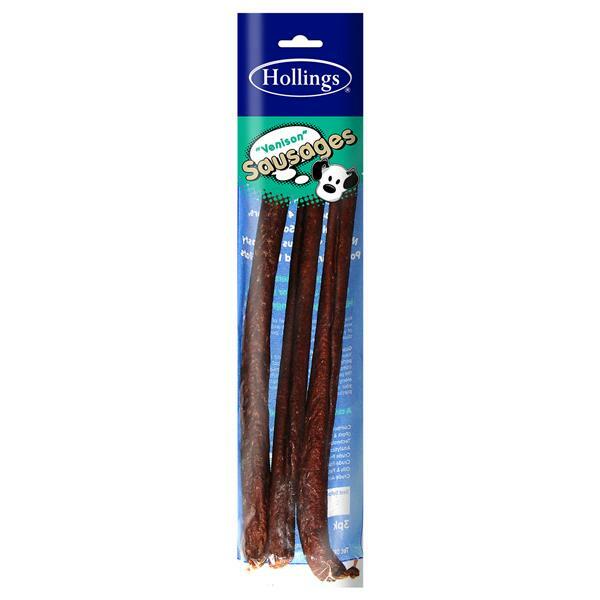 Hollings Venison Sausages are completely natural salami sticks which will go down a treat with your dog. Each stick will provide your dog with hours of chewing fun. Meat & Animal Derivatives (Pork & Venison). There are currently no questions for Hollings Venison Sausages Dog Treats - be the first to ask one!